A manhunt continued Thursday morning for the "armed and dangerous" suspect who killed a sheriff's deputy in Maine. State and local law enforcement poured into the region to look for gunman John Williams, and a massive police presence could be seen in Norridgewock early Thursday, according to WMTW. Helicopters, armored vehicles and police cruisers were spotted. The fatal shooting of Somerset County Cpl. Eugene Cole took place between 1 and 2 a.m. on Wednesday in Norridgewock. Williams was scheduled to appear in court on gun charges later in the day. "Many times we're able to say that there is not an ongoing threat, but that's not the case today," State Police Lt. Col. John Cote said. A nationwide alert has been issued, according to the WMTW. Local schools are scheduled to be open, but will be in "lock in" mode, according to the station. "We're a little on edge," Norridgewock resident Tasha Raymond said. "It's unnerving knowing there's a guy running around out there." #UPDATE These are updated photos of John Williams, 29, of Madison who is still at large and considered armed and dangerous. Williams is described as 5’6” 120 lbs, brown hair, with sides that are shaved, with a more hair on the top and blue eyes. These are updated photos from an arrest earlier this year and from the Cumberland Farms Robbery this morning. Anyone who sees Williams should call 911 immediately. From the Morning Press Release PRESS RELEASE This morning, April 25, 2018, between 1 a.m. and 2 a.m. Cpl. Eugene Cole was shot and killed in the town of Norridgewock. What we know right now is that the suspect involved in the shooting stole Cpl. Cole’s fully marked cruiser, drove to the Cumberland Farms in Norridgewock and committed a theft. 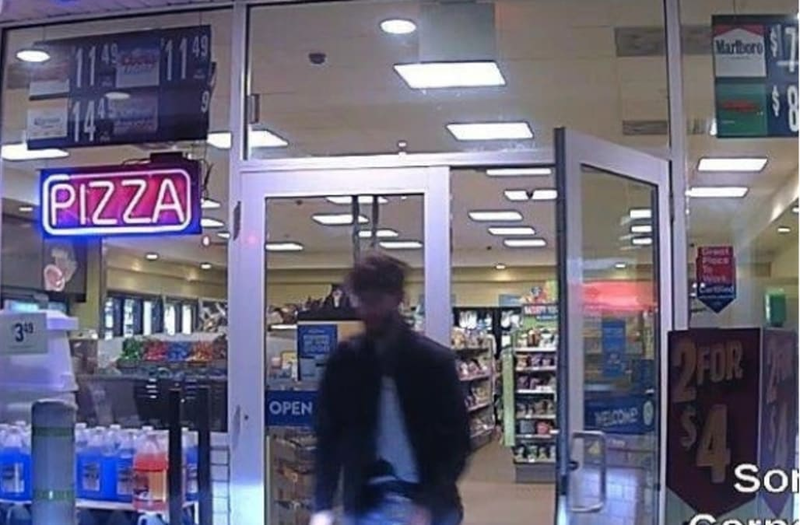 The suspect then fled Cumberland Farms driving Cpl. Cole’s fully marked cruiser. Shortly after 5 a.m., the cruiser was located abandoned off of the Martin Stream Road in Norridgewock. We believe the suspect then fled the vehicle and is presently at large. The suspect should be considered armed and dangerous. The individual of interest is John Williams, 29, last known address of Madison. He is described as 5’6” 120 lbs, brown hair, with sides that are shaved, with a ponytail on top and blue eyes. Presently, a manhunt is underway. We have issued a nationwide alert. At this time, there is no vehicle associated with Williams. This manhunt is being coordinated with the Maine State Police, Maine Warden Service, Forestry, other County and Local Agencies, and the FBI. We presently have air support in our search for Williams. This is all I have for now, this is an active and fluid investigation. Anyone who sees Williams should call 911 immediately. Cops say Williams stole Cole's vehicle after he shot him, and robbed a gas station. He would ditch the police cruiser, which was later found. Williams was reportedly arrested last month in Massachusetts after he drove his car into a ditch alongside Interstate 495. He was accused of having unlicensed weapons in his trunk, according to the Eagle Tribune. He was released on bail and expected in court on Wednesday. The last time an officer in the line of duty was killed in the state was in 1989, according to the Maine Department of Public Safety. "If you live in Somerset County and the surrounding area, please cooperate with law enforcement and stay safe," Gov. Paul LePage said, adding his "deepest condolences" to Cole's family. Cole has a son who also is a Somerset County deputy.